Having a scam happen to you while traveling can be enough to ruin your whole vacation. 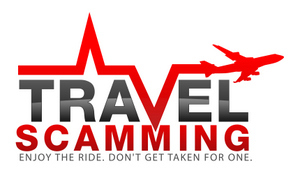 Be aware before you travel of what to watch out for, so that you don’t have the misfortune of having any of these travel scams being pulled on you. The purpose of this guide is to alert you of what can potentially happen while traveling to certain destinations, so that you will be informed before you get there. Happy travels!! Please contact us if things happen to you while traveling that we don’t have listed and we will add it to the list.